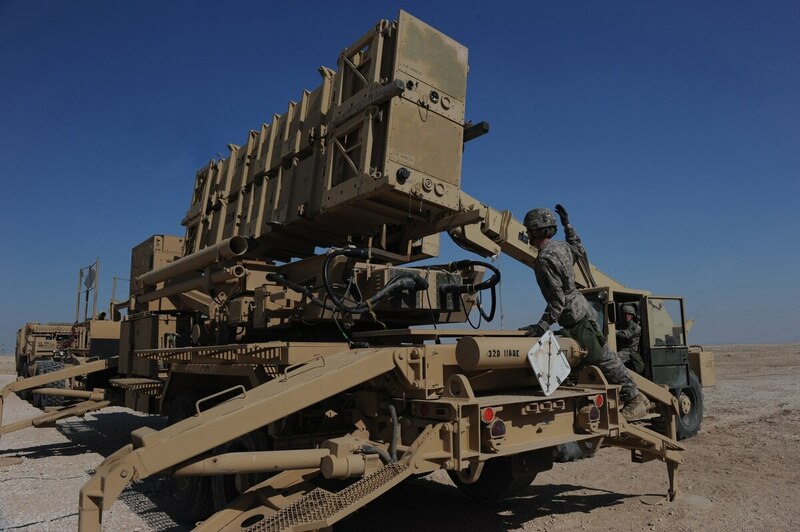 WASHINGTON — The Army is nearing completion of an acquisition strategy to achieve a 360-degree threat detection capability for its future Integrated Air-and-Missile Defense system, according to the deputy program executive officer for Army Missiles and Space. The service has long wrestled with when and how it will replace its current air-and-missile defense system — Raytheon's Patriot — first fielded in 1982. And, at one point, planned to procure the Lockheed Martin-made Medium Extended Air Defense System as the chosen replacement. But the Army canceled its plans to acquire the system. The Army's request for information released in July 2016 revealed it was still trying to figure out a way forward, at least when it comes to the radar that would detect incoming threats as part of the future integrated system. The RFI indicates the Army has yet to decide whether it would procure a new radar or upgrade the current Patriot radar. That decision is around the corner, Col. Rob Rasch told Defense News at an Association of the United States Army event on missile defense in Arlington, Virginia, on Tuesday. Rasch said the Army has analyzed information provided by industry. Both Raytheon and Lockheed Martin swiftly submitted responses to the RFI last summer. The service has also conducted a number of industry visits not only to collect data from them, but to look at technologies as well as manufacturing capabilities and capacities, he said. "The team is in the final stages of rolling that up now to develop an acquisition strategy to carry back for approval with Army senior leaders," Rasch said. While he said it was premature to determine exactly when that acquisition strategy would be presented to Army leadership, Rasch said he hoped the Army could deliver it in the summertime or earlier. "We are moving as quickly as we can," he said. Both Lockheed and Raytheon have said they can work quickly to bring a solution online. The Army’s RFI calls upon industry to help inform them on the feasibility of reaching initial operational capability for a radar prior to fiscal 2028. While the Pentagon is currently operating under fiscal 2016 budget levels due to a continuing resolution that won’t lift until April 28 at the earliest, the Army’s lower-tier Air and Missile Defense program office team is working aggressively to be ready to execute a new start to move forward on a modernized radar program — whether new or upgraded — in fiscal 2017 when the dollars become available, Rasch said.